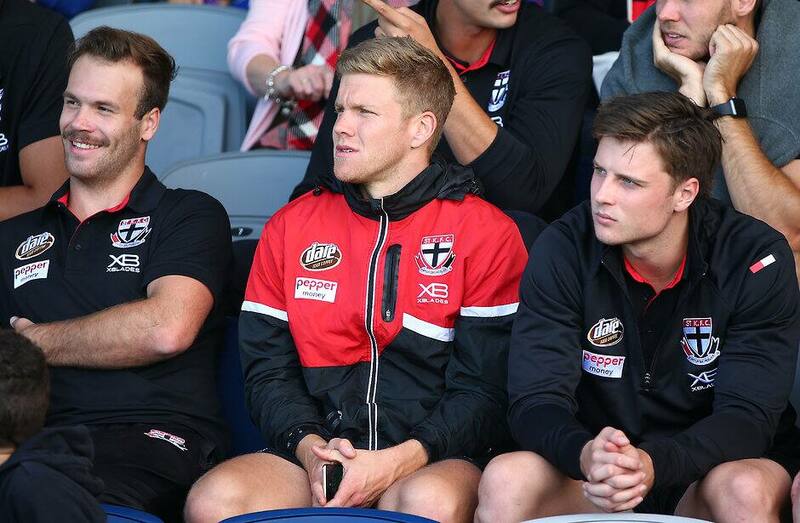 ST KILDA recruit Dan Hannebery is setting himself up to return in the "back half" of the season after battling a series of soft-tissue injuries in his first year at his new club. "It's been a bloody frustrating time post-Christmas, but in saying that I'm doing a mountain of work on-field and off-field trying to get the body right for the long-term," Hannebery told Channel Seven. "And not an eight, nine, 10-week period where you're getting judged off a half year where you're not playing and hopefully trying to play five or six years for St Kilda." "In a way you feel like you're letting them down in a little way, but long term I'm really confident that I'll get myself right," Hannebery said. "Being that close a few times and then having to pull back with a few minor niggles has been really frustrating. "But I'm really confident in the back half of the year that I'll get some really good footy in." Coach Alan Richardson echoed Hannebery's thoughts, saying the high-priced recruit was 'starting to make progression'. "That was the part that was frustrating Hanners and frustrating us, that as he was starting to step it up, he was continually getting sore," Richardson told reporters after the Saints beat the Hawks on Sunday. "It looks like he's getting there now. It's going to take a lot of continuity of training." "He's someone you can get a lot of confidence from in terms of what he does in movement and stability and that kind of stuff," Hannebery said. "For me, I've got a few minor soft tissue niggles at the moment but because I've had no continuity the last couple of years it's important to get some solid training in before I'm good to go."